Was Dr. 007 in network or not when treating Patient OU6C5H for codes 267 and 293, or was that 364 and 882? What kind of coverage did the teen with tonsillitis have, and had his family hit its deductible or will they end up owing a lot beyond their insurance? If your doctor not only cuts off a common mole but then has it tested for cancer, just to be safe, the codes differ from, say, what might have gone in the medical record for just the removal. Was there a splint on your dinged finger, as well as a bandage? Up-code it. But expect an insurer’s rep to challenge. 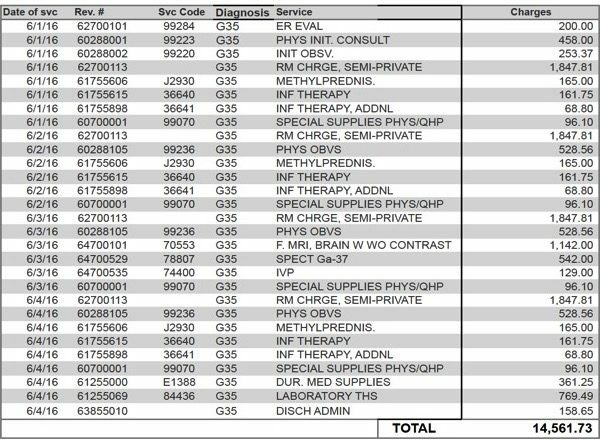 They also can’t find clarity or comfort in “charge masters,” ostensibly the list prices that hospitals are required to post for common treatments, Chad Terhune has reported for the Kaiser News Service, an independent, nonpartisan health reporting network. He says few patients pay full list price. But hospital to hospital, even among similar institutions near to one another, there are unexplained differences in charge-master costs for comparable medical services. For each dollar higher one of those prices run on the published lists, hospitals typically collected 15 cents more in payments from patients with private insurance, researchers have found. These sums add up fast and can result in big revenues for hospitals. It’s also worth noting that there’s no correlation in the quality of care that patients receive for higher list prices: Patients at higher cost hospitals don’t necessarily see better outcomes on key measures like lower re-admissions. 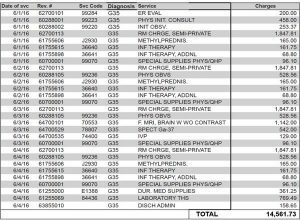 What’s the bottom line to all the fiscal legerdemain at hospitals? Americans pay a lot for care, more than they need to, due to bureaucracies, inefficiencies, and overcharges. Hospitals also don’t recoup their own costs, so their bad debt is rising, even as patients’ medical debt remains a major driver of personal bankruptcy. In my practice, I see the huge harms that patients suffer while seeking medical services—and I see their major woes with paying doctor and hospital bills. Rosenthal, along with her book, has put out some ideas about saving money while hospitalized, including: avoiding private rooms and out of network services, trying to ID all the providers who pop up bedside, and refusing unnecessary equipment that many providers may try to foist on you. While good, her tips may require a lot of sick patients: They’ll need to be composed and savvy, for example, to scrawl into all their admitting forms, as she suggests, a protective demurrer against out of network services, or to insist that all white-wearing caregivers tell you their names and why they’re seeing you. But I agree with her that all medical bills can and should be negotiated, and I’ve also got information on the firm site on how to do this. We all also need to keep supporting patient advocates and health care reformers as they push to overhaul hospital care. It desperately needs it, and we all could benefit greatly if this occurred.